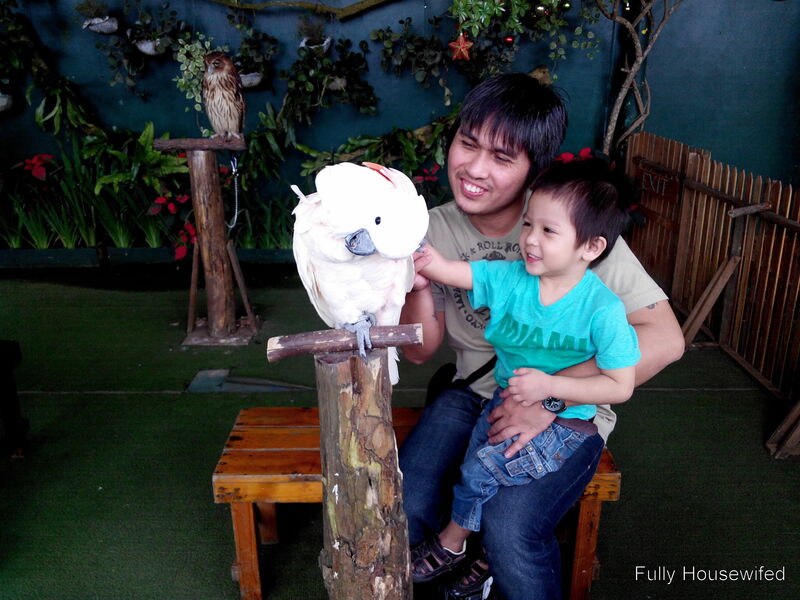 Since we were going to Taal Vista Hotel for our stay-cation, Jay and I thought it would be a good idea to bring the kids to see the animals at Paradizoo. I’ve never really heard of Paradizoo nor Residence Inn until I saw their promo on Metro Deal. We’ve passed by the place on our way to a friend’s private resort in Nasugbu, Batangas several months back but I didn’t know the name of the place. Residence Inn is only 5 kilometers away from Taal Vista Hotel but Paradizoo is another 6 kilometers. I thought at first that Residence Inn IS Paradizoo but when we got there, Jay was told that they are two different places. Paradizoo, they said, is so much bigger and have more animals in it. Residence Inn is an…well, an Inn. I didn’t really get to see the quarters but in my opinion, see the zoo, check in somewhere else. We originally wanted to purchase the Php 299 voucher off Metro Deal, but reading through the guidelines on their page, it says we were to call in for reservations at least 10 days ahead. I asked Jay to call and ask if we could reserve on the dates we would be staying at Taal Vista hotel before buying the vouchers but the woman who answered the phone told us to just buy the vouchers and present them there. We weren’t comfortable with that because the stipulations on the voucher link were quite clear. We didn’t want to end up being refused at the entrance for not having reservations and disappointing our kids. I tried emailing them again but I received no reply. It’s only Php 299 per head and it’s not like it would be forfeited if we couldn’t reserve, but we had to make sure we could use them before we make our purchase; after all, Tagaytay is more or less 70 kilometers away from where we live, it will be a little complicated to plan another trip to the south again just to use those vouchers. And there’s five of us. 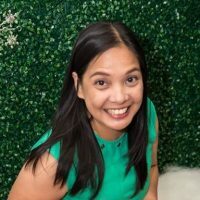 We just might be throwing away Php 1,500 for nothing. So we didn’t get the vouchers and just trooped to what I thought was Paradizoo. I wasn’t expecting much, really. I’ve read so many bad reviews about Residence Inn and their handful of animals. And they were mostly right in saying that the place smells and it held very few animals, but since our kids are still very young, I kind of appreciated that there were only a few animals to see which makes it easier for them to remember and very few people to jostle with. There weren’t too many animals, but there was a camel, a ram among the sheep, an owl, tigers and lions, apes and monkeys, pythons and Civets. The kids enjoyed feeding the pony with the veggies they sold at the entrance and they were able to pet the owl, the cockatoo and the iguana. Judah was especially thrilled about being able to feel the bird’s feathers with his hands. The kids were not able to feed milk to the cub and I certainly did not allow them to pet the huge snake that was on a picnic table! Perhaps next time. Feed the cub, not pet the snake. When I asked Lukas what his favorite part of the trip was, he said that it was being able to feed the pony. It’s not the greatest zoo in the world, but our kids enjoyed looking at the animals up-close and being able to do things with them. The entrance fee of Php 199 per head is okay and paying Php 20 for a picture with the owl, the cockatoo and the iguana was not so bad either. 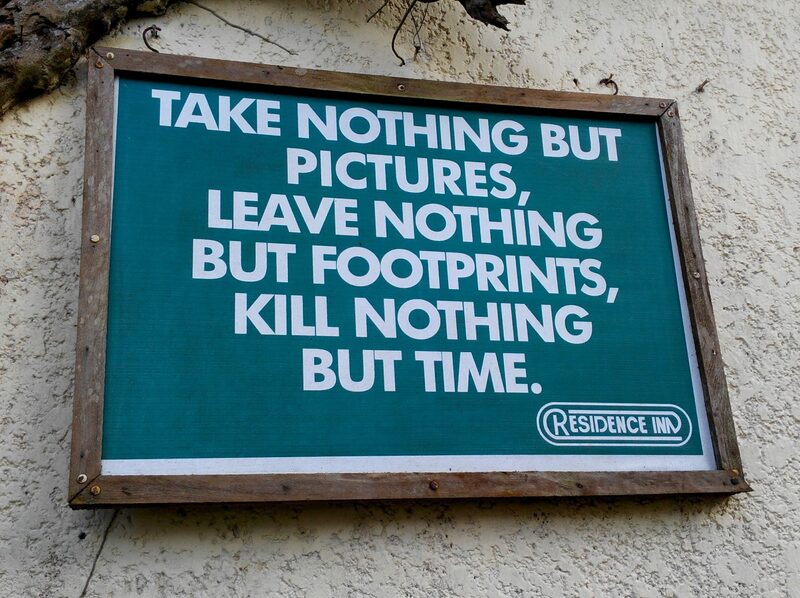 I also liked it that at Residence Inn, you pay the minimal fee but you use your own device to take your own picture. You can take as many pictures you want. Unlike in other places where you have to pay a hundred bucks for a picture they take of you and you end up with your eyes half-closed in it. We didn’t go to Paradizoo anymore but maybe next time, I’m not sure. 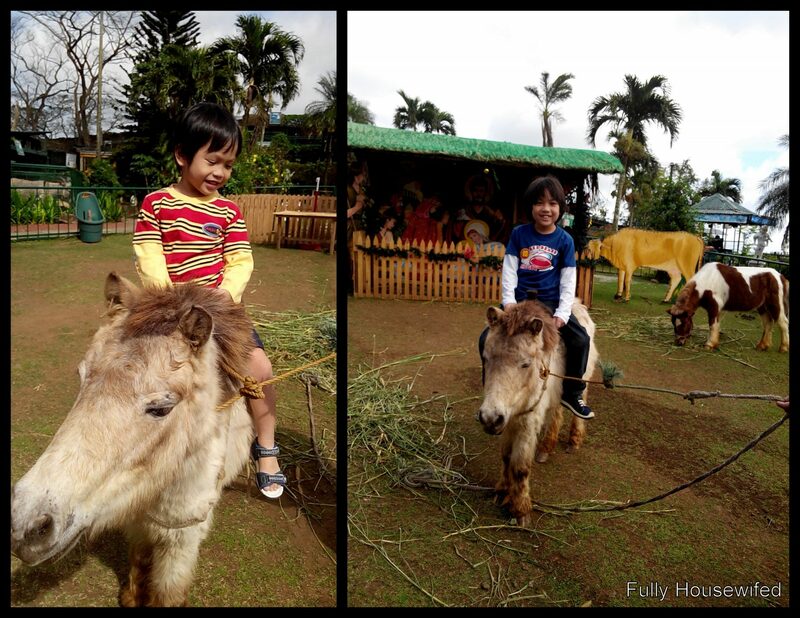 There are many other different places to go to in Tagaytay, like Picnic grove and Sky ranch, so we’ll see. I keep thinking how ridiculous and silly it is for a family to have a picture taken with a pony, but that’s exactly what we did. 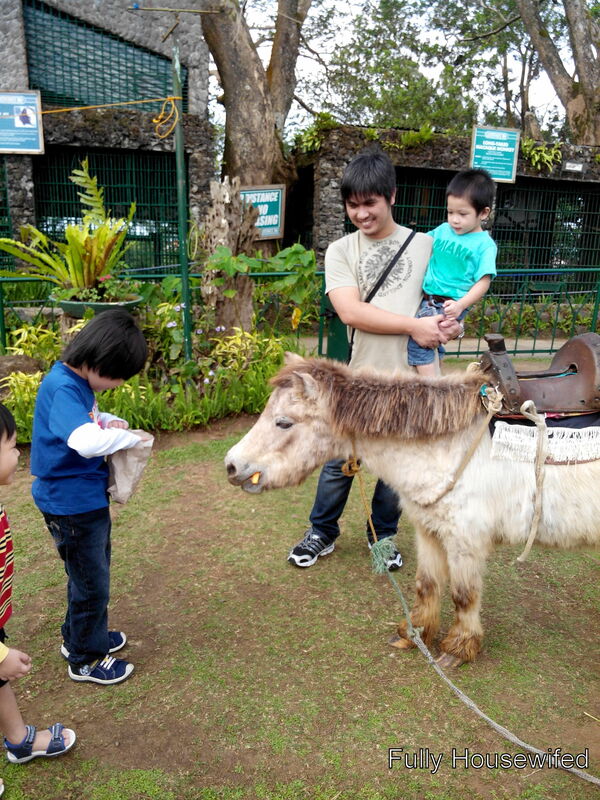 If you’re wondering if it’s worth going to, I say if you’re in Tagaytay and you haven’t been there, there’s no harm in dropping in if you have kids as young as ours. If they’re 10 years old or older, they might not enjoy it as much as our kids did. Maybe Paradizoo would suit them better, but we don’t really know for sure. We’ve not been there yet. You’ll know if we decide to go. Will surely be blogging about it. Natawa ako sa photo with eyes half-closed, but so true, parang sa *cough* Manila *cough* Ocean *cough* Park! 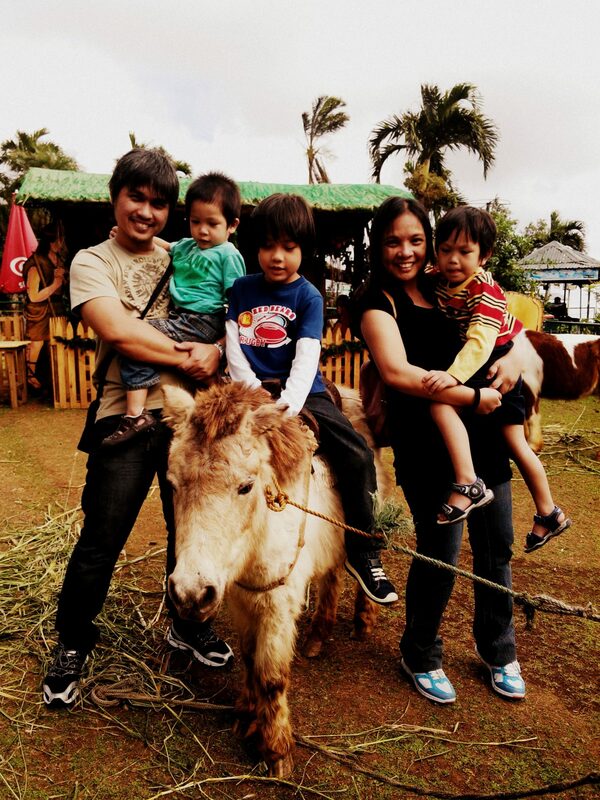 Pingback: Stay-cationing at Taal Vista hotel | Fully Housewifed! Pingback: Answers to common questions people ask about home schooling | Fully Housewifed! 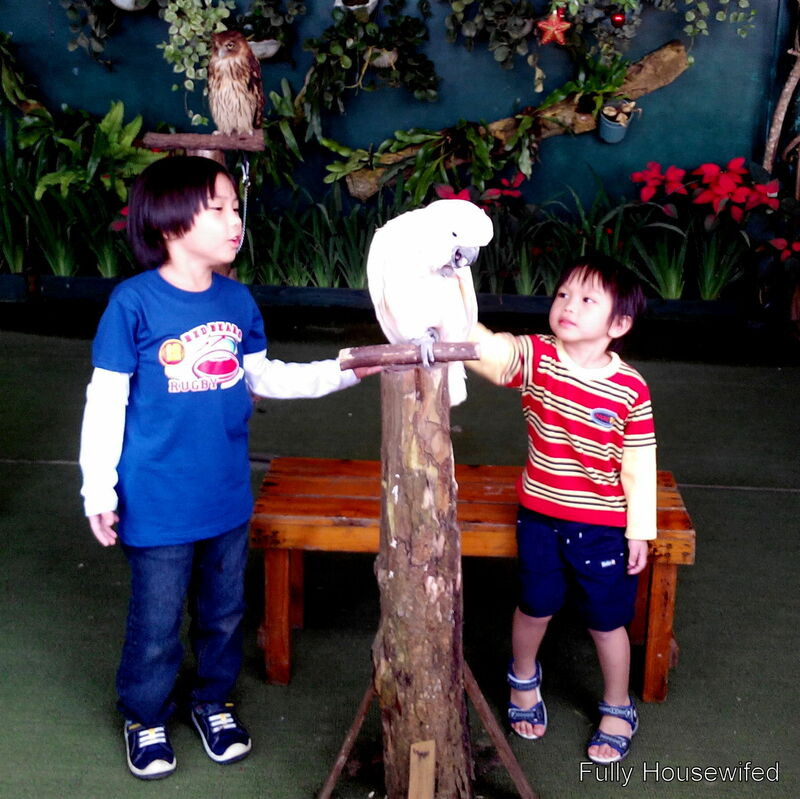 Pingback: Feeding Guinea pigs and Bunnies at Ark Avilon Zoo | Fully Housewifed!